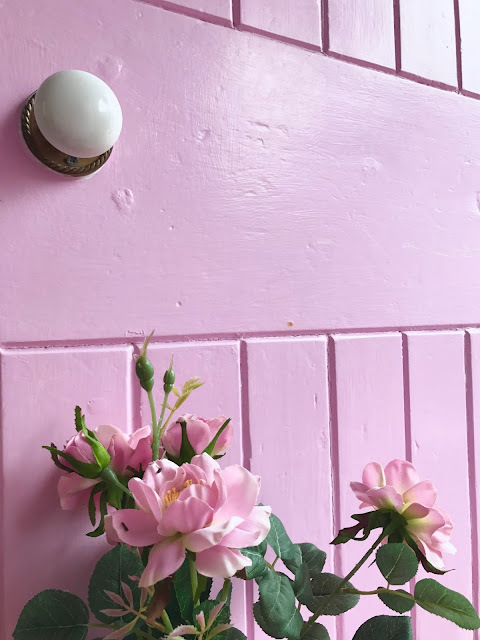 Yet another food oriented post here - so anyone trying to stick to their diet, or feeling particularly peckish, should probably close this window and find a less delicious post to read. I'm a lover of anything quaint and quintessentially English, and nothing has either of these traits quite like a traditional tea shop. 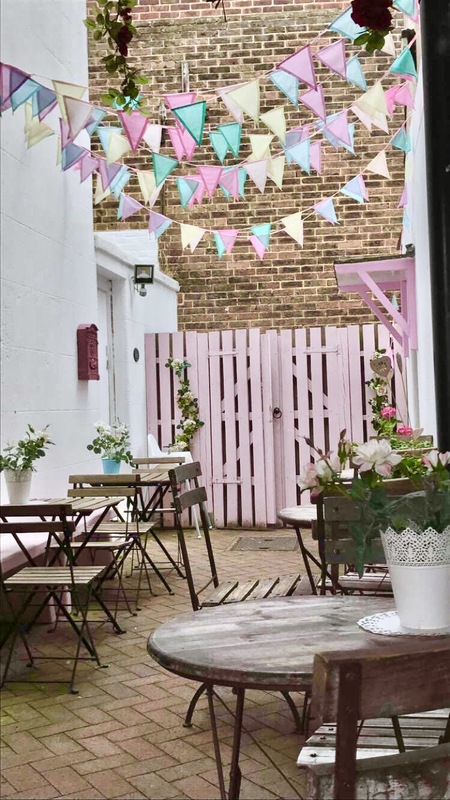 Hidden in the heart of my hometown, Horsham, there's a gorgeous little café called 'Pretty Things' that I've been dying to visit for as long as I can remember. 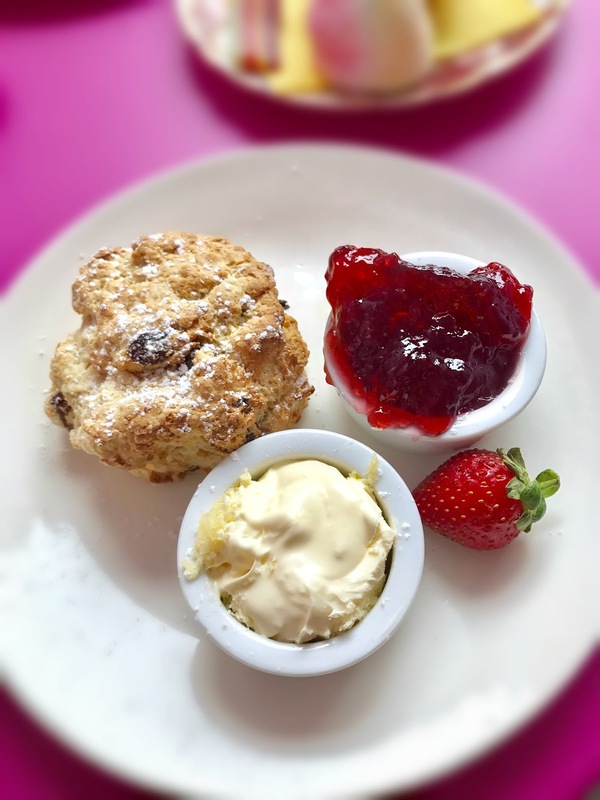 But as with any local hotspot, you often find yourself venturing out further to other locations at the weekends, and you end up putting off the visits that are closest to you. 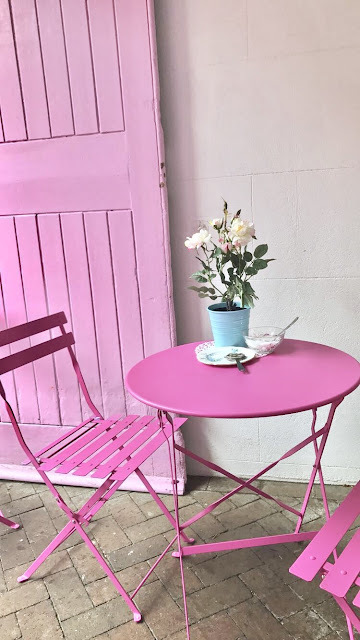 I finally managed to pencil this teashop trip into my very busy life (it's hard to find space around all the Netflix shows I'm currently wasting my life away watching), and dragged my friend along to taste the delights Pretty Things had to offer. Renowned for their iconic, unicorn-inspired drinks, I knew I had to give one a go. 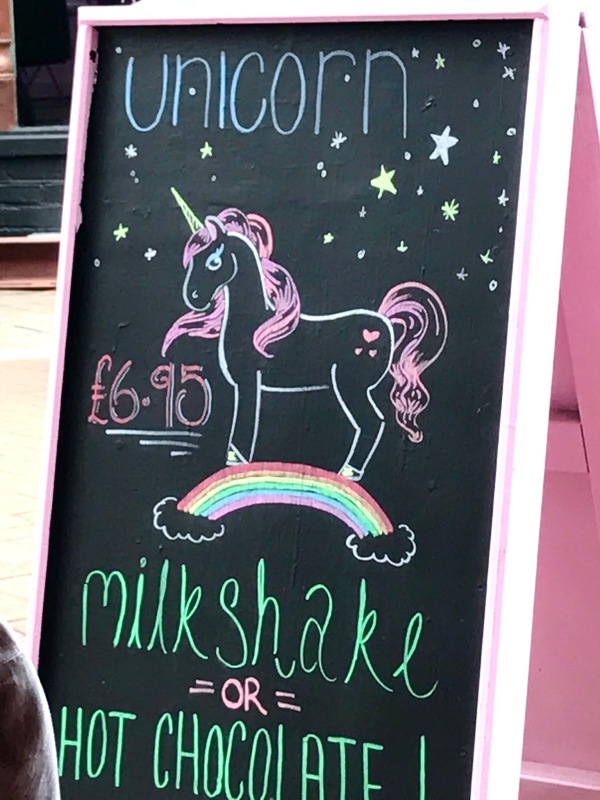 So whilst I opted for a unicorn milkshake, my friend decided to go for the hot chocolate version. 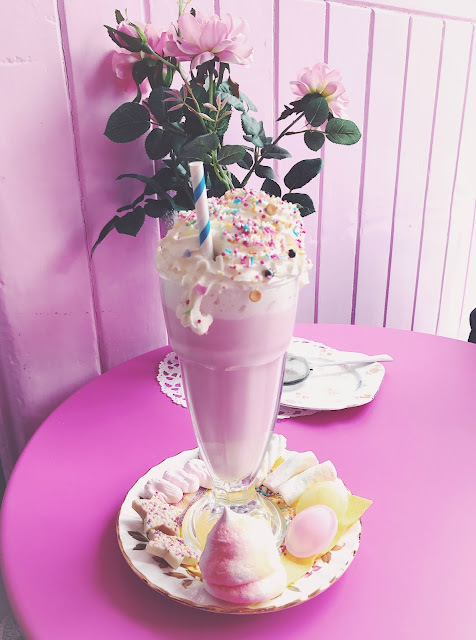 Now I'm not usually one for strawberry flavoured things, but this milkshake was truly delicious! Mind you, it could've tasted terrible and still have been saved by the incredible detail that went into its presentation. 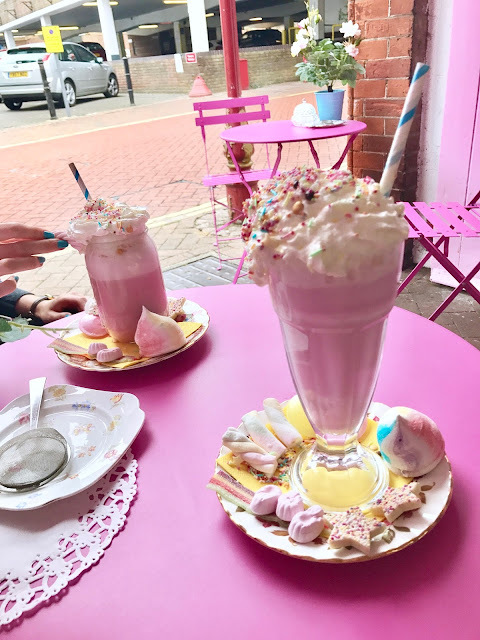 Surrounded with a mixture of flying saucers, fizzy sweets and rainbow meringue, and loaded with cream and rainbow sprinkles, there's no question as to the drink being unicorn-themed. Before I set out on my visit to Pretty Things, I had it in my head that I wanted to taste their incredible, rainbow-tiered cake. But upon arrival I found myself lusting after traditional jam & cream scones (pronounced like cone and not gone, in my head by the way). With an array of delicious treats to try, from sumptuous cake slices to even mermaid-inspired delights, you won't be disappointed by whatever you decide to try - in fact you'll probably find the decision making the hardest part! Apologies for the iPhone quality photography too, I didn't fancy carrying my SLR into town this day, lazy I know! Some people have a serious passion for cookery. They take a real delight in finding out exotic new recipes to try out in the kitchen, presenting them to their friends and family with confidence and ease. And I really wish it was the same for me, but honestly I find cooking to be more of a chore, than a relaxing past time. That said, I do enjoy dabbling in the kitchen when it comes to baking - particularly if I stumble across a recipe that catches me eye. 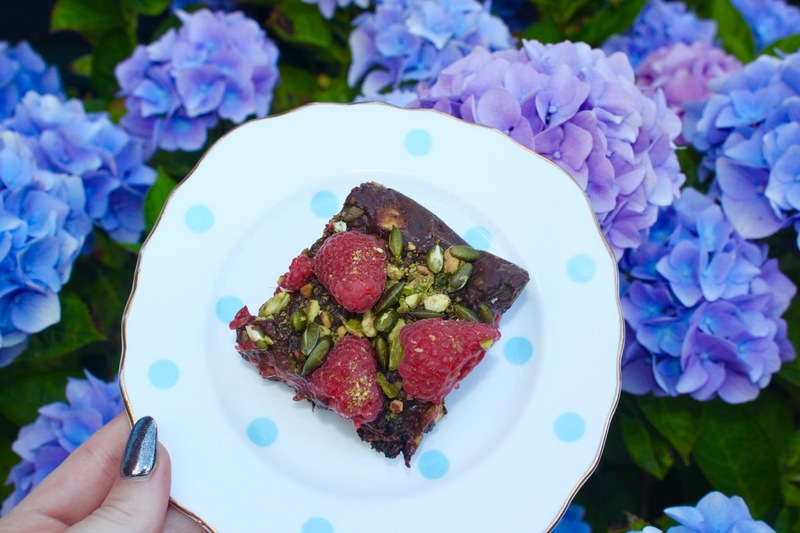 So the other week when I was scrolling down my news feed, and found myself lusting after some Chocolate Tiffins from Sainsbury's Magazine, I couldn't help but pick up the ingredients to give the goodies a go for myself. 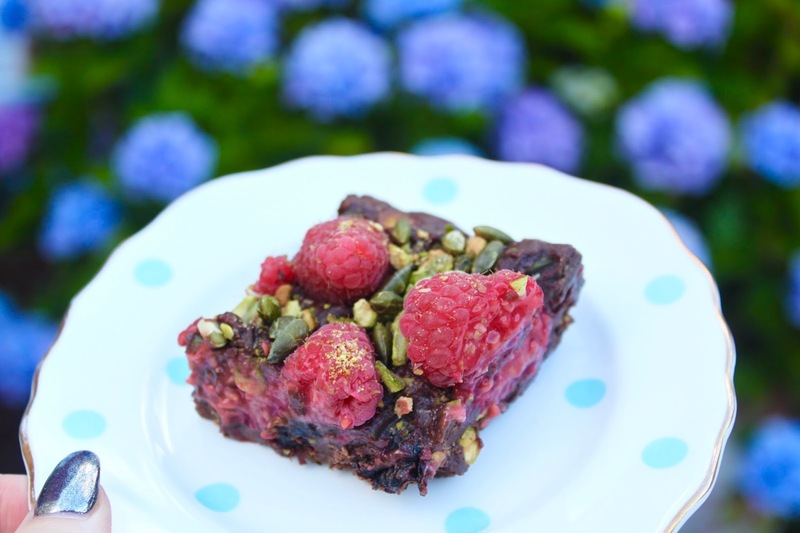 Strictly not a 'bake', these Chocolate Tiffins are a super easy, 'chill in fridge bake.' 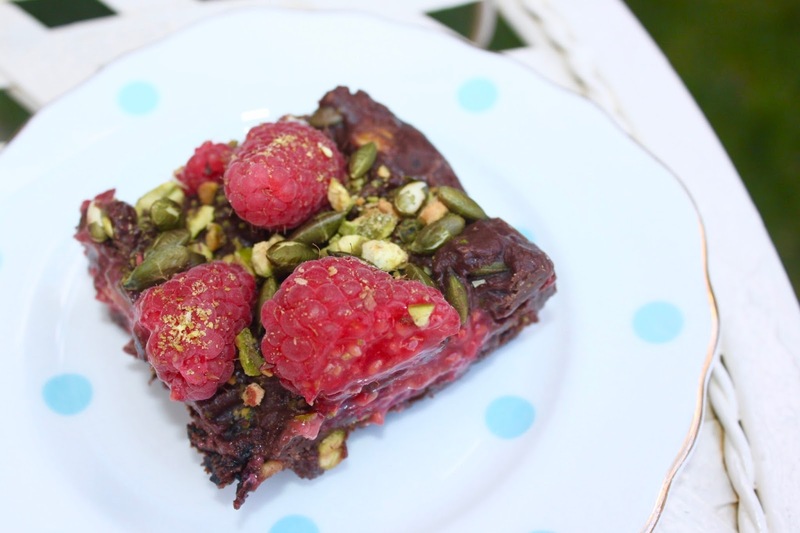 Plus they have avocado in them, which automatically makes this recipe, blogger-friendly and makes me feel a little healthier about eating them - they count as one of my five a day right? Seriously though, for anyone who breaks out in a cold sweat at the thought of stepping into a kitchen, or is just unlucky in the culinary department, I urge you to give this recipe a try. Gently roasting pumpkin seeds in a saucepan, melting some chocolate and finely chopping up all the ingredients, is just about as technical as it gets. A gorgeous combination of sweet and sharp, the contrast between the tartness of the raspberries and moreish, indulgence of the chocolate, is enhanced by the richness of the pistachio nuts. If you're not a chocoholic, then one slice of these will definitely be enough, but for those of you with a sweet tooth, you'll probably find yourself eating every single morsel, in search of another! 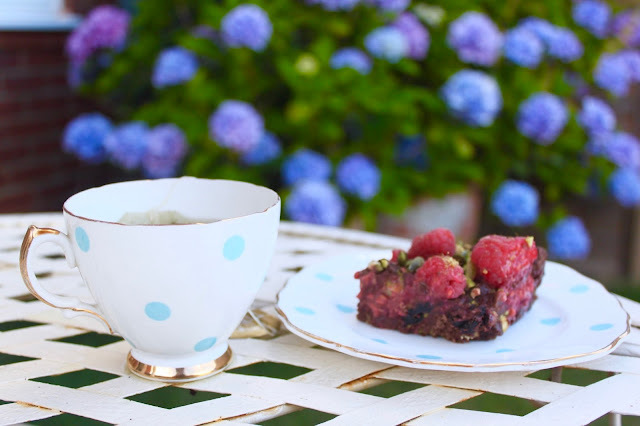 Because of the vibrant, decorative hues of the raspberries and pistachio nuts, these little Chocolate Tiffins will definitely feel at home at a tea party on some floral china, or make a delightful dessert to serve up to your girlfriends on a night in this summer. However you decide to serve them though, you definitely won't be disappointed. Have you tried out any new recipes lately? 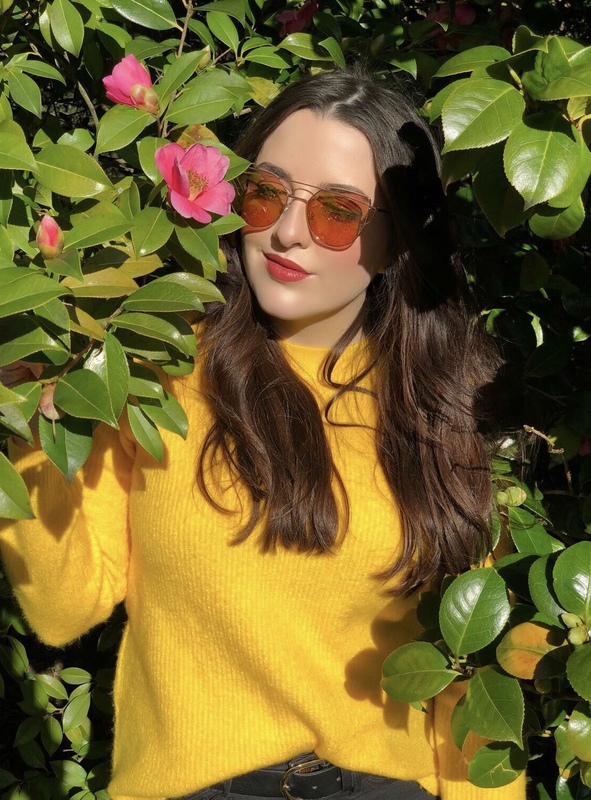 Let me know, and share your tips below!